Admit it — considering owning your own brokerage has at least crossed your mind. If you’re thinking about taking the plunge, then the smart thing to do is ask people who have done it what you should know (and what they wish they’d known) before jumping in with both feet. Mendenhall’s not just a talking head — she’s received numerous awards for her skill as a Realtor and her ability to operate a business. She’s been active in Realtor associations for more than a decade and is a sixth-generation Realtor. As part of the California Association of Realtors’ WomanUP! initiative, Mendenhall is going to be uncovering the specific challenges of owning and operating a brokerage and explaining to women (and men!) how they can overcome those challenges to realize their dreams. When you’re serious about taking the next step in your business career and opening your own brokerage, you want to hear about what it’s like from someone who’s been there — who is there. Mendenhall manages to juggle all of her assorted Realtor association responsibilities with her daily business needs, and if you want to learn from the very best, she’s it. 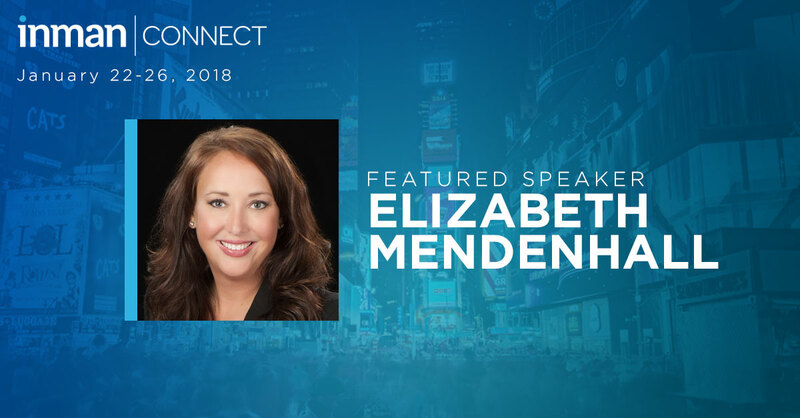 It’s time to make a decision and take the plunge, and Mendenhall will guide you through it in one practical and inspirational session that you’ll only find at Inman Connect New York. Make a resolution to take your business to the next level in 2018 and start making plans to attend today.